Life has always been about seasons, Hammerman understands, from the birth of children and the loss of loved ones, to the moments in between that make us human — and the opportunities they extend us to be a menschMensch is a Yiddish word, one that largely resists definition. But a consensus would agree that a mensch is someone who is selfless, decent and kind, a person of character, wisdom, integrity and humility. 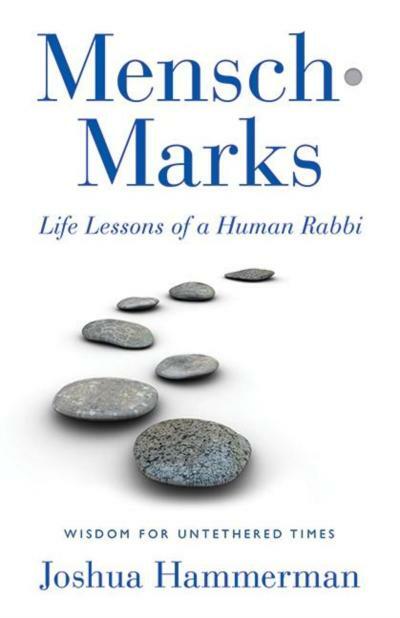 This month, Hammerman’s most memorable and inspired writings have been collected in a new book, “Mensch-Marks: Life Lessons of a Human Rabbi,” published by Health Communications, Inc. The 240-page book is available at local bookstores and through Amazon, Barnes & Noble and other online retailers.Someone like Mel Allen. Someone like Joshua Hammerman.